Homepage > PEUGEOT RCZ BOOT RETAINERS [Fits all RCZ models] 1.6 TURBO THP 2.0 HDI NEW! PEUGEOT RCZ BOOT RETAINERS [Fits all RCZ models] 1.6 TURBO THP 2.0 HDI NEW! Set of 2 boot retainers. This accessory supplements the carpet boot mat. The blocks holds your objects, preventing them from moving in your boot when braking and taking corners. Product Description: Set of 2 boot retainers. This accessory supplements the carpet boot mat. 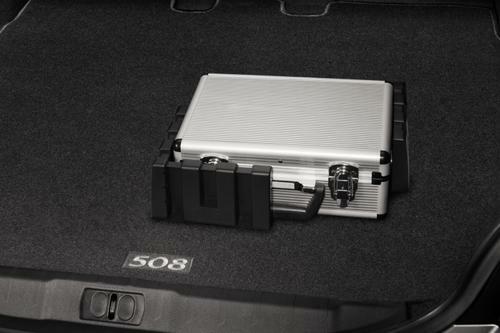 The blocks holds your objects, preventing them from moving in your boot when braking and taking corners. Product Fitting Note: Set of 2 boot retainers. PEUGEOT RCZ RUBBER MATS [Fits all RCZ models] 1.6 TURBO THP 2.0 HDI NEW! PEUGEOT RCZ BOOT CARPET MAT [Fits all RCZ models] 1.6 TURBO THP 2.0 HDI NEW!